The Australian Chamber is cognisant of the motives to ban large cash transactions. However, we would suggest that it is the wrong policy focus. 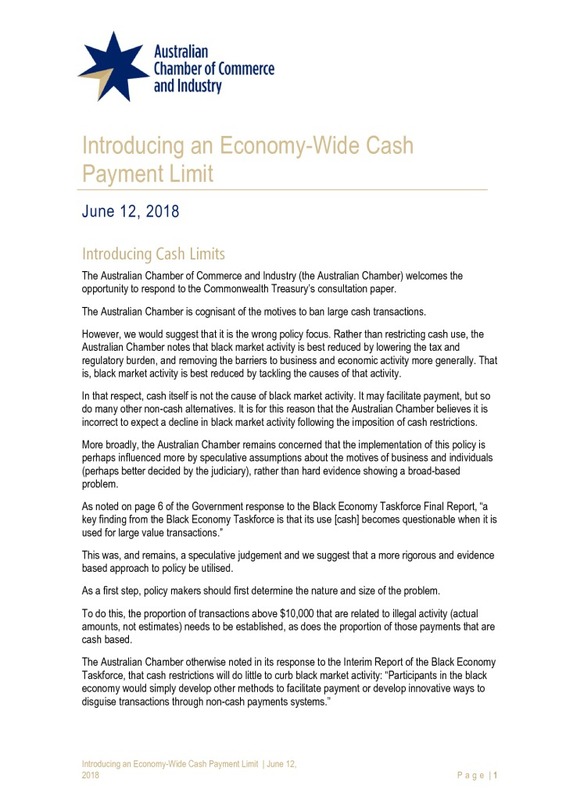 Rather than restricting cash use, the Australian Chamber notes that black market activity is best reduced by lowering the tax and regulatory burden, and removing the barriers to business and economic activity more generally. That is, black market activity is best reduced by tackling the causes of that activity.